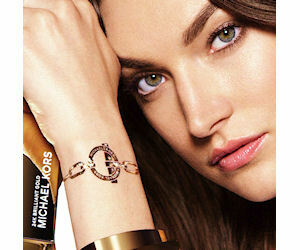 Sign up to get a FREE Michael Kors Scented 24k Brilliant Gold Tattoo! Valid while supplies lasts! Unfortunately, not open to residents of Quebec. Canadian users: It appears the form was not redirecting properly for you earlier today, but we've updated it to a new link and we hope this allows you to view and fill in the form.